Youde’s Prewound NiChrome Core Clapton Wire is the buyer’s choice for coil builders looking for high quality materials. NiChrome wire has better heat insulation and heats up at a much faster rate than kanthal wire. The prewound wire saves time and provides all the benefits of the clapton design, popular due to their increased surface area, plus the added benefit of the NiChrome core. Needless to say, this prewound clapton wire is a hot item for vaping enthusiasts looking to produce more vapor and increase flavor immensely. 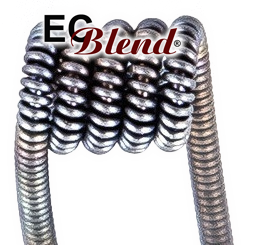 Save time, money, and frustration, buy prewound coils today! Experience Fuji apple in a different light. Click the button below to add the Rebuildable Accessory - Youde - Prewound NiChrome Core Clapton Wire - 15 Foot Spool to your wish list.